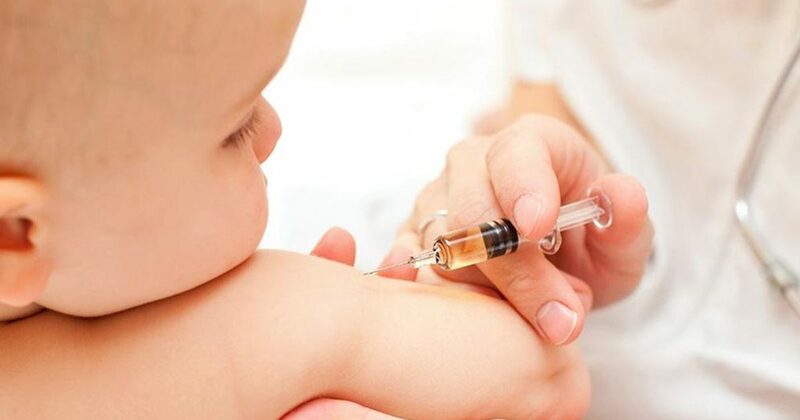 A groundbreaking advent in technology may soon result in ever necessary childhood vaccine being administered in one single injection. U.S. Scientists claim that their one-shot solution stores the vaccine in microscopic capsules that release the initial dose and then boosters at specific times. According to an article published in the journal Science, the approach has proven to be successful in mouse studies, and researchers say the technology could help patients around the world. Pneumococcal jab at eight weeks, 16 weeks and one year. Men B vaccine at eight weeks, 16 weeks and one year. Diphtheria, tetanus, whooping cough, polio, Hib and hepatitis B at eight, 12 and 16 weeks. Hib/Men C vaccine at 12 months. Measles, mumps, and rubella at one year and three years and four months. According to a team of scientists from Massachusetts Institute of Technology in Boston, they’ve designed a new type of micro-particle that could combine everything into a single jab. Researchers found that the particles, resembling miniature coffee cups that are filled with vaccine and then sealed with a lid, can be altered so they break down and spill their contents at just the right time. Case in point, one of the tests demonstrated the contents could be released at exactly nine, 20 and 41 days after they were injected into mice. Other particles that last for hundreds of days have also been developed, the researchers say. The approach has not yet been tested on patients. MIT Professor Roger Langer says that he and his team are very excited about the results of their research. “For the first time, we can create a library of tiny, encased vaccine particles, each programmed to release at a precise, predictable time, so that people could potentially receive a single injection that, in effect, would have multiple boosters already built into it. This could have a significant impact on patients everywhere, especially in the developing world,” Langer said. The work differs from previous attempts, which slowly released medicines over a long period of time. The idea is the short, sharp bursts of vaccine more closely mimic routine immunization programs. If you found this article interesting, please share with friends and family by clicking the button below.